View More In Crib Netting. Make your babybay the coziest place for your baby. 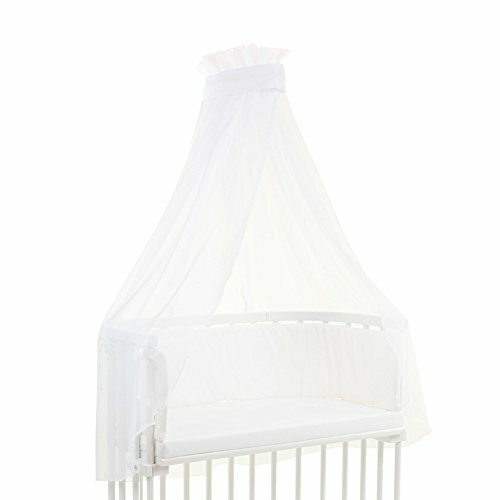 Transform the feel of your baby's bed by adding an airy canopy. Choose a solid bow or patterned banderole to harmonize with your babynest colors. Machine Washable! Includes a babybay Canopy holder. Yes...it also helps prevent mosquitoes from getting in! Easily attach the canopy to your babybay bedside sleeper so you don't have to drill into the ceiling. If you have any questions about this product by babybay, contact us by completing and submitting the form below. If you are looking for a specif part number, please include it with your message.